This page contains a selection of major UK office building designs, with links to individual project pages. We’ve selected what we feel are the key Great Britain Buildings, but additions are always welcome. 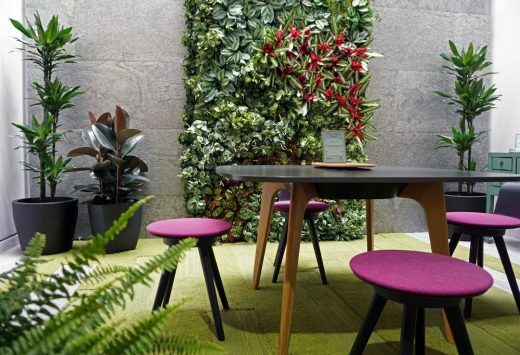 A ground-breaking office refurbishment project that will provide quantified evidence on the benefits of biophilic design on health, well-being and productivity of office occupants. A landmark destination building comprising offices, parking, apartments, retail units, a hotel, spa, restaurant and “sky bar”, The Cube was conceived as a building which would never close.